Brig.-Gen. Sani Usman has been appointed by the National Open University of Nigeria as a Faculty member of its Business School. 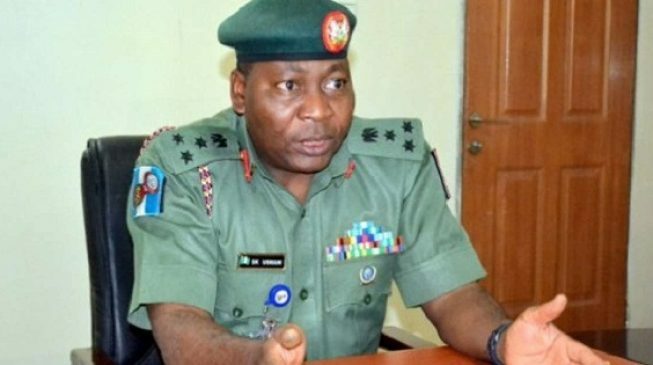 Naija News recalls Usman voluntarily retired from the Nigerian army as its Director of Public relations on Thursday after more than 35 years of service. A statement issued by the Coordinator of NOUN Business School, Prof. Samaila Mande, on Tuesday and made available to the News Agency of Nigeria said Sani’s appointment is based on his wealth of experience. The statement further expressed optimism that as Public Relations and Communications expert, Usman would bring his wealth of knowledge and experience to bear in his new appointment. Mande added that Usman will be coming on board to chair the Crisis Communication, Public Relations and Security Studies sessions of the School. The former Army spokesperson is a graduate of Bayero University Kano, where he obtained a Bachelor of Arts degree in Mass Communication and also has a Masters degree in Media, Peace and Conflicts Studies. Wow I believe you merit that's why it was given to you. It is a welcome development for the university to have him on board.